While in the process of creating this website, a couple of boxes ended up sitting on my desk – one in particular, a wooden, Punch cigar box with paper accents on the trim, found a spot underneath one of my monitors and stayed there for a few days. I found myself looking at it frequently and really started to love it. Upon checking the company email, I was surprised when an Australian customer had purchased 5 of our boxes. As I went about filling the order, I was shocked to realize that one of his purchases was MY Punch cigar box! I find the artwork on the edges of these boxes super-beautiful – so much so that (spent way too much time) I recreated the side-edge artwork in illustrator to use on this website – at some point. 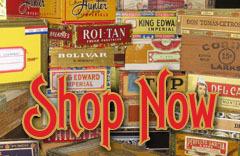 As you can see, it’s been customized for buycigarboxes.com. I considered emailing him to let him know that I couldn’t sell it, or to tell him that we sold it already — then I realized, he deserved to have it – and it’s shipping out tomorrow, to Australia. 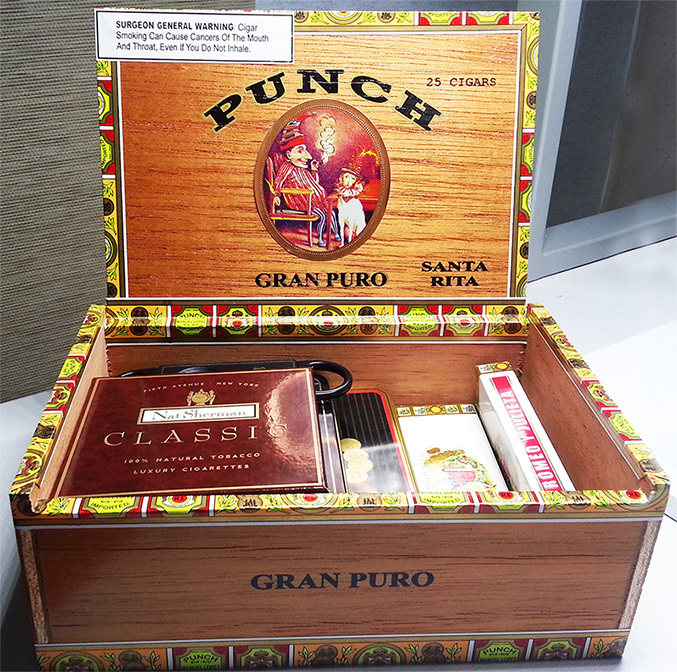 Of course, I needed a replacement box for the spot underneath my monitor – so I went through the inventory and found it’s replacement – another (smaller but taller), Punch brand cigar box! 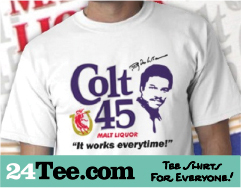 This time, I’ve removed it from our inventory – sorry, but this one is not for sale.